Join us for an evening of comedy brought to you by our biggest stars- the students! 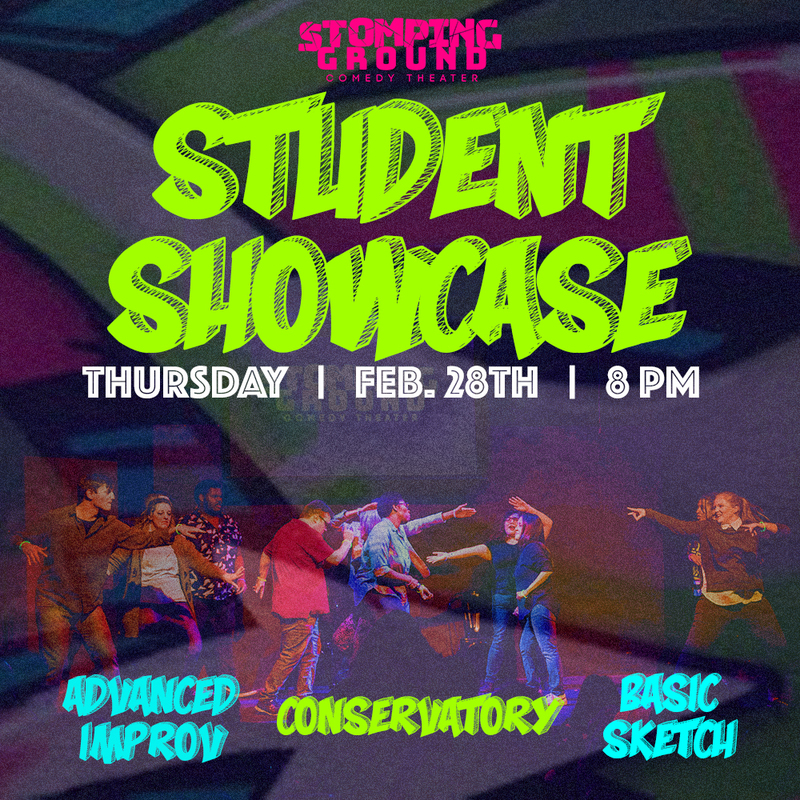 Performing tonight will be: Cameron’s Conservatory, Tyler’s Advanced Improv, and Lindsay’s Sketch Basics. This show is recommended for age 18+. Stomping Ground is BYOB. Doors open at 7:45.